Alright, enough of wallowing about for the week. I finally hunkered down and got out a few layouts and the beginnings of my September class project. I had two kit club layouts to do for HKMC, but won't be revealing those until September. 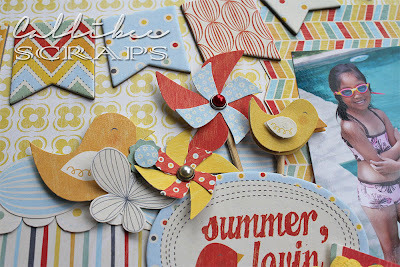 Here is the first of three other layouts I did. 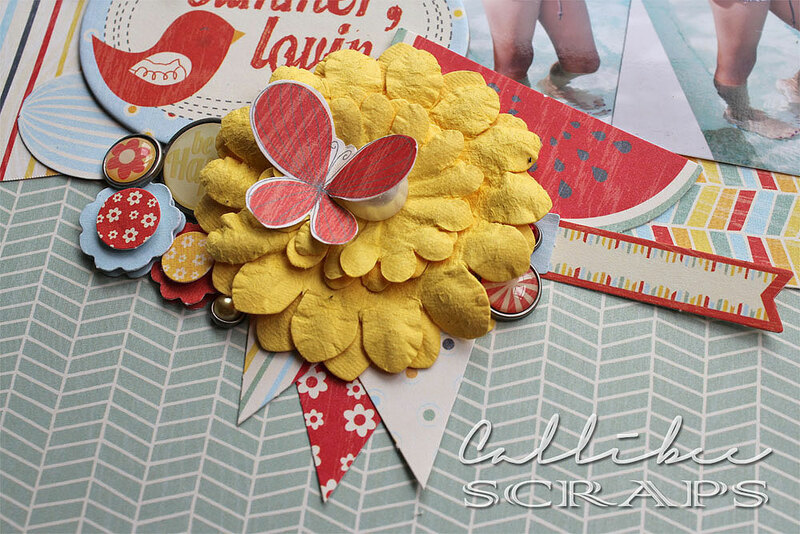 The papers were from my MCS July kit and I just love all the little embellishments. Can you guess which company this paper is from? They do such amazing collections and I just love all their lines. The photos were taken during our Bali trip. Gorgeous summer colours. Makes you want to jump in the pool right now, no? Such adorable elements. I love the pinwheels. Lots of little layered elements. That watermelon is making my mouth water.